The Canberra marble fireplace combines square lines to give an imposing appearance, with an elegant double stepped mantle shelf. The micro-marble surround is reflected by downlights to give this surround that something extra to any room. 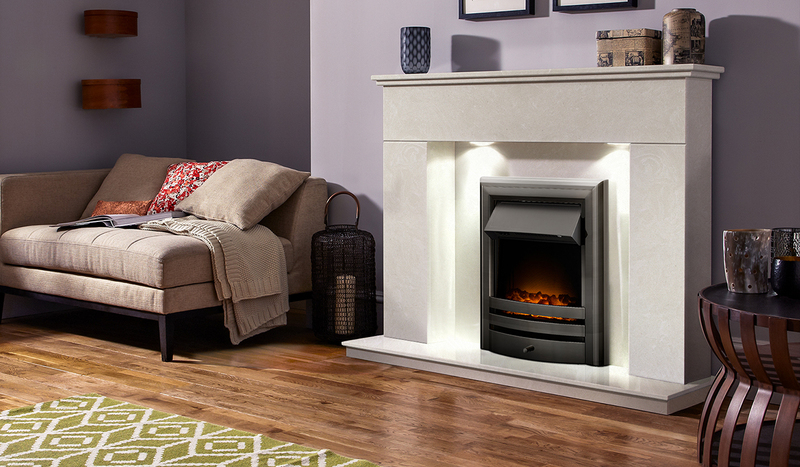 Displayed here in Perola which produces a stunning effect when the downlights shine on this marble fireplace. Perfect for the range of Inset Gas Fires and Inset Electric Fires we offer. 2 sizes: 48" & 54"